Women’s football and the Australian Association of Football Clubs (AAFC) are the big the winners from the Congress Review Working Group’s (CRWG) report to FIFA, which also earmarks the potential for an independent A-League as soon as 2019-20. The report, which was submitted to FIFA in Zurich on 31 July but distributed to the public by the involved stakeholders with the blessings of FIFA today, lays bare its recommendations for fixing the governance crisis currently engulfing Australian football; key of which is the recommendation for the expansion of the FFA congress. Currently the smallest and least democratic in world football with only ten members (nine representatives member federations and one representative for the A-League and W-League body the Association of Professional Football Clubs Australia) the congress would be expanded from 10 to 29 under the newly proposed model. Under the new system, member federations would receive 55 votes, the APFCA would receive 28, the players union Professional Footballers Australia (PFA) seven and a newly established Women’s Football Council 10. The creation of the Women’s Council is one of the key recommendations of the report and shows a clear push by the members of the group to bring Australian into line with FIFA’s policy on gender equality. The report outlines the makeup of this newly established Women’s Football Council would be made up of an independent chair, three representatives from Member Federations, three from the PFA and three from the APFCA. This structure, as well as giving greater representation to women, would also effectively bring the voting powers of the PFA and APFCA in the new congress to 10 and 31 respectively. Explicitly mentioned in the report outlining the expansion of the Congress is the objections of the FFA Board to the CRWG’s proposed model. The report also makes specific mention of the AAFC several times, including outlining a pathway for the body seeking to give NPL a voice at the national level a clear pathway to gaining acceptance into the Congress as a recognised special interest group. Importantly for the AAFC, their previous efforts at gaining representation have been recognised by the CRWG, meaning that they could be recognised as full voting rights members of the Congress by July next year. Other interest groups, such as fans, coaches and futsal would have to begin a longer pathway to membership of the congress that begins with a two-year qualifying period under a process outlined in detail in the report. Any new A-League clubs added to the A-League through expansion would qualify for two votes within the Congress once admitted to the relevant competitions. Aside from the Congress, the biggest news to come from the report is the CRWG’s recommendations surrounding a pathway to an alternative A-League governance model, that could see an independent A-League, W-League and Y-League as soon as the 2019-20 season. Noting that, once again, the FFA Board objected to the proposal, the CRWG outlined plans for the creation of a ‘New League’s Working Group’ (NLWG) that would, in consultation with key stakeholders such as the PFA, APFCA, Member Federations and the FFA, work towards a proposal for a new organisation by next April. 2. To consider, evaluate and negotiate terms and make recommendations for consideration by the FFA Board and FFA Congress respectively in relation to legal and commercial aspects pertaining to the new A-League model. Beyond changes to the Congress and the A-League, the report also recommends that further steps to ensure that it is fully compliant with FIFA statutes on human rights, including the employing of an expert on business and human rights to report on what the FFA needs to do to embed respect for human rights across it’s international and domestic operations. Alex Wilkinson, president of the PFA, welcomed the release of the report. “I’ve been part of the A-League since the very first season and seen it evolve,” Wilkinson said. “There was a time when we needed absolute support but the competitions – both the A-League and the W-League – are now ready and mature enough to step out on their own. Greg Griffin, who serves as chair and CEO of the APFCA, also welcomed the public’s chance to view the report. “This report and its recommendations represent an opportunity for a new era of collaboration, transparency and democracy for Australian Football,” the former Adelaide United executive said. FFA responded with a statement of their own, outlining their concerns. “FFA has been supportive of the CRWG process from the beginning and is committed to working constructively with all stakeholders,” chairman Steven Lowy said. “There are many elements of the report which are positive steps and wholly supported by the FFA board. Penny Tanner and Pete Szkiela bring you the week’s football News from 10AM WA time through to noon. Tune in every Saturday, from 10am through to 12 noon on 107.9FM, Radio Fremantle. Sean Kelly and Don Evans bring you the week’s football News from 10AM WA time through to noon. 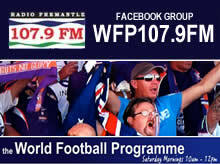 Contact us via Facebook with your news, comments or thoughts on partnering up with us https://www.facebook.com/groups/WFP107.9FM/ or Email penny@theworldfootballprogramme.com Tune in every Saturday, from 10am through to 12 noon on 107.9FM, Radio Fremantle. Northern Redbacks Tim Hodgson joins the team for a banter on women’s football on The World Football Programme 107.9FM this Saturday morning. 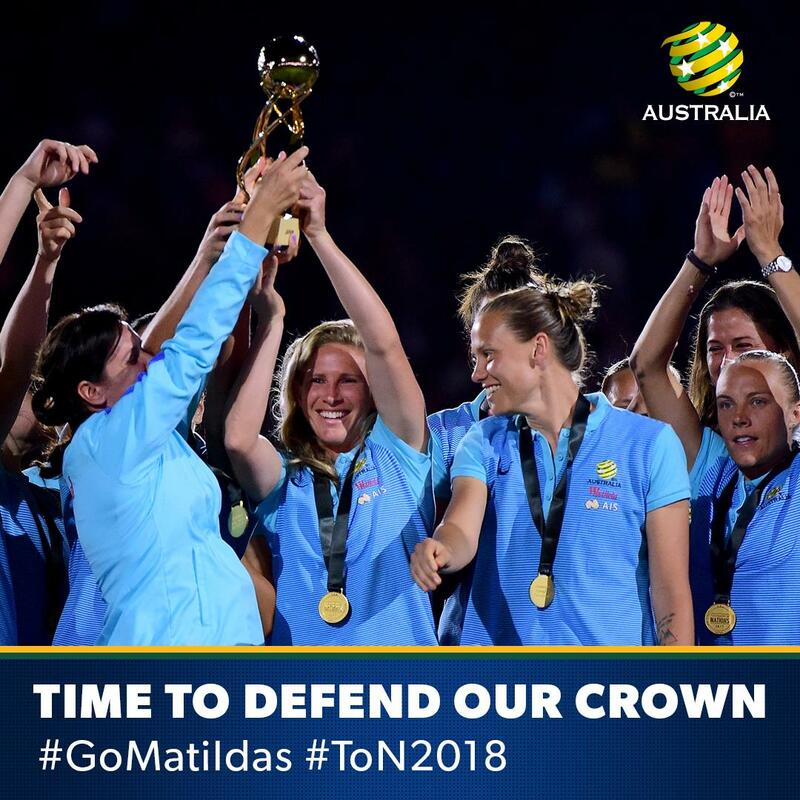 Sarah Groube from The Women’s Game jumps in about the Matilda’s latest win in the Tournament of Nations. Peter Szkiela (Aleaguestats.com) and Penny TannerHoath (Women’s Football Advocate), talk the week in football with a great line up of local guests. FFA Cup rounds, state representations and club honours are all in the hat at this, the business end of the season. 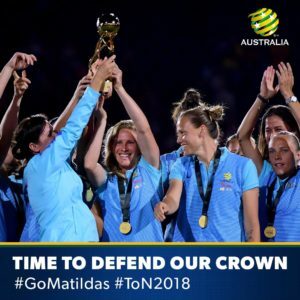 While the Socceroos had us all hoping for one step further and a few ranks higher in the FIFA rankings, the Matildas are on the verge of another Tournament of Nations Trophy to cap off a huge 12 months of football. Newcastle Jets Academy squads were crowned Champions of both the 14 Years and 15 Years age groups at this year’s Westfield National Youth Championships for Girls. Topping Group A, the Jets’ squads were both too strong for the competing Federation teams, from across the country. The 14 Years winning on goal difference 4 ahead of their nearest rivals NSW Metro Blue and the 15 Years clearing NSW Metro Blue by 3 championship points. NSW Metro White took out both age groups in Group B. The week was deemed a great success with girls having the opportunity to compete against fellow footballers at the highest standard whilst having the opportunity to be reviewed by FFA and Federation Technical staff. However it wasn’t just the players on show, 21 young match officials were invited to officiate the weekend, providing them the opportunity to test their skills on the pitch at high-level matches . We’re in the final day of the Westfield National Youth Championships for Girls. Yesterday we saw the 14 Years Championship decided with Newcastle Jets Academy taking out the Group A top spot. The clear winner won all three games leading up to the decider today when they drew one-all with NSW Metro Blue. Young Jet, Milan Hammond equalised the game in the 52nd minute. 2.20pm Tasmania 0 def. by NSW Metro White 9 (C.Holder 1′, T. Wayne 8′, B. Henry 21′, P.Alcorn 31′, E.Gattnora 37′, 39′, 47′ & 49′) A. Nicholas 43′). Day four of the Westfield National Youth Championships for Girls is set to be a cracker with the 14s Groups A and B set to play their final competitive games today. Newcastle Jets Academy and NSW Metro Blue will battle it out for the Group A Championship title at 2:20 pm, with Capital Football and NSW Metro White meeting for their deciding match at 1.00pm. With their deciding matches to be played on Friday, 15 Years Group A is currently a tight contest between Newcastle Jets Academy and NSW Metro Blue. The Jets look to have the upper hand with two remaining matches to play whereas NSW Metro Blue only have one game that will count as their second match is counted as a crossover. 9.00am Tasmania 0 def. by NSW Country 10 (A. Longhurst 8′, OG 21′ & 47′, B. Huxley 14′, E. Hewson 23′ & 25′, A.Crapp 33′, P. Tay 36′, 43′ & 50′). Day Two of the Westfield National Youth Championships for Girls has proved to show that teams have started to find their feet as a team. In the 14 Years Group A, Newcastle Jets Academy and NSW Metro Blue are off to a strong start being undefeated whilst Capital Football is leading their ladder in Group B. With only having played one game each in Group A of the 15 Years, it’s an even affair compared to Group B where NSW Metro White are 3 points clear in the lead. With three days to go, teams still have all to play for to have their shot at the title. Today all State Federations including the Emerging Jets kicked off their Westfield National Youth Championships for Girls campaign in Coffs Harbour. WA’s Girls Under 14 and Under 15 Gold Fields State Teams were presented with their 2018 kits on Monday, July 9, ahead of their trip to Coffs Harbour, New South Wales, next week for the Football Federation Australia’s National Youth Championships. The tournament, which runs from July 16 to July 20, is an opportunity for players to potentially be identified by Football Federation Australia for future Young Matildas squads. The teams accepted their kits in front of family and friends at The Rise in Maylands. Football West Head of Development Jamie Harnwell said the Championships provide a great opportunity for players take their game to the next level. “The National Youth Championships are a fantastic reward for the hard work that these girls have put into their training and games over the past few months,” he said. WA’s Gold Fields State Under 14 side is coached by Faye Chambers with Gavin Sit assisting and former Matildas midfielder Collette McCallum managing the team. The Gold Fields State Under 15 team is coached by Darren Young, assisted by India Joyce and managed by Lisa Manson. Westfield Matildas Head Coach Alen Stajcic will become Australia’s first national football coach to take a look at remote region Indigenous talent when he visits the tiny town of Borroloola, NT on 11-12 July 2018. He will run a two-day coaching clinic under the Outback sun for more than fifty Aboriginal children who train every week in the John Moriarty Football (JMF) program. Named after Borroloola-born John Moriarty, the first Aboriginal footballer selected for Australia, JMF is in its seventh year of continuous delivery in remote Australia. JMF brings together 6-16 year old children through sport, promoting good health and wellbeing in some of the country’s most socially challenged regions. The young players are supported to thrive and reach for their potential at local, national and international levels of the game. JMF is a skills mastery program, adapted from the Football Federation Australia (FFA) national curriculum. School attendance and better nutrition are cornerstones of the program. In a first for football, JMF’s FFA-licensed coach-mentors live in the community to develop local Aboriginal coaches. With daily support from Sydney head office, the program is creating exceptional young footballers. Their natural talent, flair and outstanding athleticism offer the X factor to Australian football. AFL and NRL have long backed the value of Indigenous talent with sustained representation of around 15% and 12% respectively. 16-year-old Borroloola local and 2018 Westfield Young Matildas debutant Shadeene (Shay) Evans, is the first elite athlete to emerge from the John Moriarty Football program. Shay was scouted at 13 years of age by Alen Stajcic, before moving 3000kms to Sydney in 2015 on a JMF scholarship at Westfields Sports High School and the NSW Institute of Sport. Four more young Borroloola and Robinson River athletes have since joined Shay in Sydney to chase their football and education dreams. “An important part of our mission is allowing these children to become individuals with a clear vision and aspiration so they can see the future themselves” says John Moriarty. Alen Stajcic is looking forward to his first visit to a remote Aboriginal community.